This replacement Bulldog lock bolt is only used in a few Bulldog locks where a shorter bolt head is required eg the AI20 Bulldog Airline Lock and the GA90 Bulldog Budget Garage Door Lock. Note for replacement lock bolt for Bulldog Titan and Centaur weheel clamps see product code SA3.The lock bolt is a highly developed 10 pin* radial tumbler lock insert. Lock bolt diameter 25.4mm (1") case hardened to 60 rockwell hardness (746 VPN), crop, drill and saw resistant. Anti drill centre pin on radial pin tumbler lock. Drill resistant lock cover to prevent hollow core drilling of lock. 10mm diameter steel ball bearings operated by internal cam mechanism. Lock face design is resistant to attack by slide hammer (dent puller) devices. 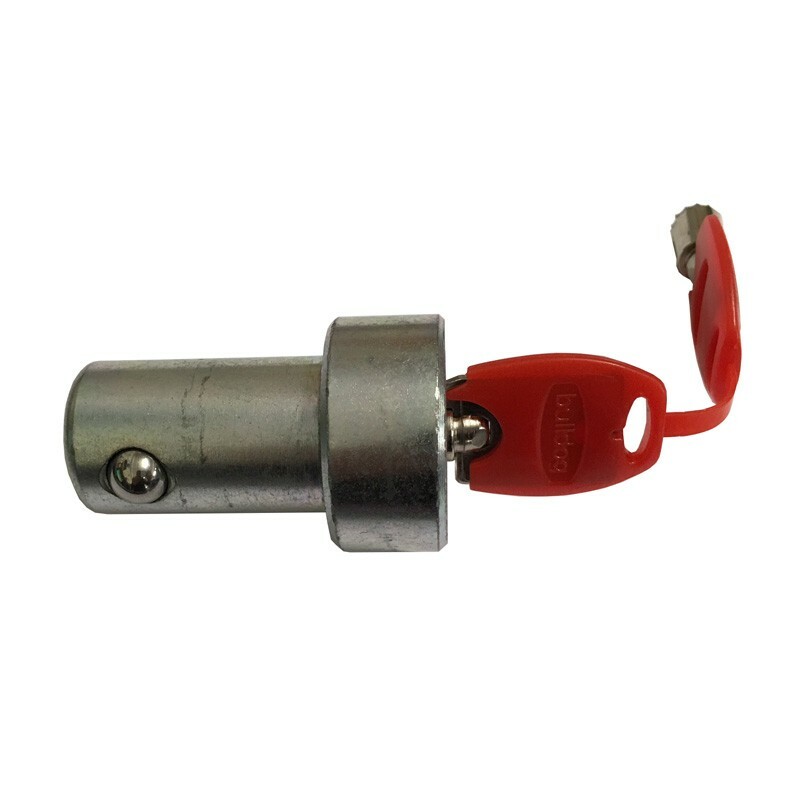 Bulldog Super Lock Bolt has been used in many applications of security products that have passed independent attack test including TNO Road Vehicle Research Institute, TUV and Sold Secure. Resistant to attack by punches or drifts due to internal lock chamber design. Keys can only be removed in locked position, no possibility of accidental locking. Multiple locks can be supplied with same key for fleet or multiuser applications. British manufactured and sold with Bulldog 5 year Guarantee. *9 Radial pins are used for short version of lock bolt. Still more than one million possible key combinations.